This scholarship will provide the successful applicant with a Robinson R66 turbine Type Rating. Heli Air say that depending on the applicant’s level of skill and aptitude, the minimum training will be 5 hours on aircraft type with additional training provided totalling 10 hours flight time. 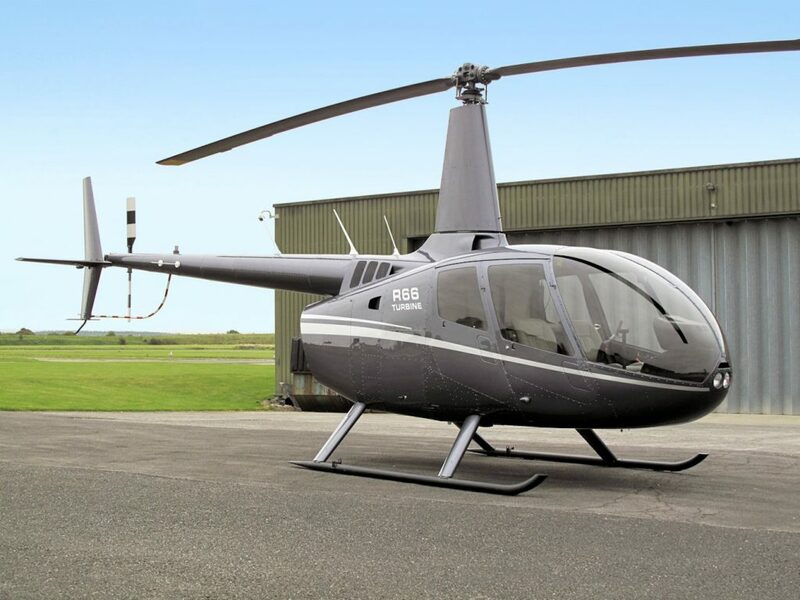 The Type Rating for the R66 is worth approximately £7500, including up to 5 days of intensive training, both in the air and in the classroom along with 10 hours flying. Heli Air say that at present they are the only UK-based Helicopter Company to offer a turbine Scholarship including all CAA charges and fees. The minimum time will be 5 days of training including a skills test with a Heli Air examiner; however the training must be completed within a 3 month period. The successful candidate will not be required to pay back any of the training cost. Applicants must have completed their PPL (H) with Heli Air since October 1st 2016, prior to the deadline date of 31st August 2017. The ATPL(H) theoretical training will take place at Heli Air’s Wycombe base, where Heli Air say that the successful applicant will be immersed in a commercial aviation environment where the day-to-day running of a highly busy airpark and helicopter base will help and motivate the pilot through the course, providing the pilot with an extra dimension to his or her training. The Theoretical training scholarship is an intensive course that can be completed in 6 months. The course runs Monday – Friday 0830 – 1730. The Scholarship provides the successful candidate with the exclusive opportunity to study all 14 ATPL (H) subjects and includes any and all CAA fees for their first sitting of examinations. The candidate must pass their exams in the first instance as any re-sits of failed exams will be at the cost of the individual. The course itself has an approximate value of £7200. This scholarship provides the student with the full 6 months full time study of the ATPL (H) Theoretical Knowledge course. It is for the individual, however, to source and finance their own accommodation. For the ATPL (H) ground school scholarship the applicant will need to have completed their PPL(H) with Heli Air prior to the deadline date of 31st August 2017, and since 1st January 2015. The successful candidate for this scholarship will be awarded the opportunity to receive a full CPL(H) course, with an approximate value of £14000. This particular scholarship includes the 30 hour commercial flying course, all landing fees and test fees. The Scholarship winner will be awarded the CPL(H) flying course in the Robinson R22 helicopter and will not be required to pay back any of the Scholarship awarded to them. The Scholarship will cover the individual to sit their CPL(H) Skills Test and all CAA fees in the first instance. Any further examinations required will be at the cost of the individual. Applicants for the CPL(H) course scholarship will need to have completed their PPL(H), hours building and ATPL (H) Theoretical Examinations with Heli Air prior to the deadline date of 31st August 2017, and since 1st October 2016. Applications for all three scholarships should be made to Heli Air. Applicants will need to register their interest on the Heli Air website, after which one of Heli Air’s Scholarship Co-ordinators will contact the applicant via phone or email to discuss the options, run through the application criteria and answer any other questions the applicant may have. Heli Air say that they welcome any and all international students who are permitted to study and work in the European Union to a chance to be awarded the scholarships. However, Heli Air remind any international students that Heli Air cannot assist with living arrangements and visas. Applicants must also have achieved ICAO level 6 in English Language.